At Pixel Playbox HQ we have been brainstorming marketing ideas for Mr gunboat , coming soon to android, and naturally things went off on a bit if a tangent. We started to discuss ‘what if’ scenarios and prompted us to think about our favourite games and consoles from the past. One of our favourite consoles is the Sega MasterSystem and we discussed how great it would have been to release Mr Gunboat for it. Sadly that isn’t going to happen but we can make some dummy art work. Here you go enjoy. 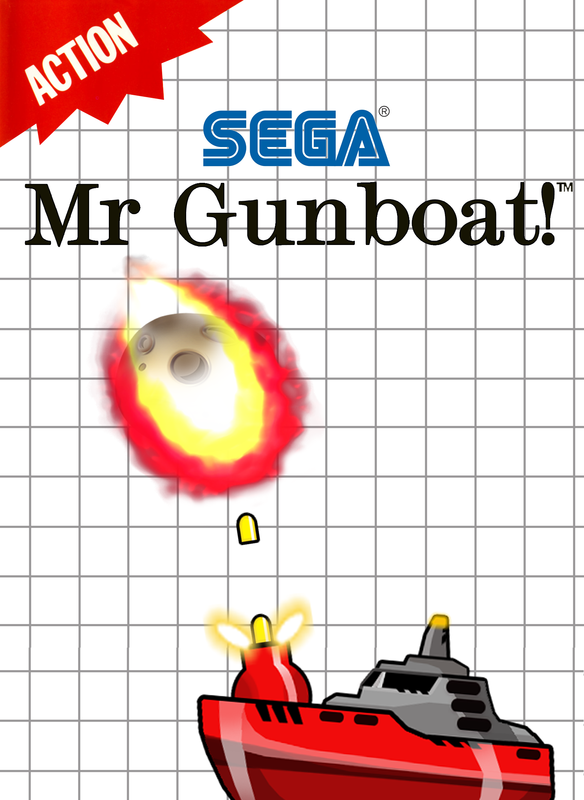 Please remember to try Mr Gunboat coming to an android device near you.